100. Ivor Barrett CAWOOD m. 9 Sep 1909, in Durban, Dorothy Mary Frances ("Dolly") CAINE, b. c1886, King William's Town, (daughter of John CAINE and Mary -----) d. 3 Nov 1939, Port Shepstone. Ivor died 20 Oct 1949. 101. Basil Yorke CAWOOD b. Dundee, Natal, m. (1) in Dundee, Jenny Elizabeth Bertha DYMOCK, b. Waschbank Valley, near Dundee, Natal, d. 1931, Johannesburg, m. (2) 1936, Doris Evelyn McKENZIE, b. Pietermaritzburg, d. 1970. Basil died c1962. i. Petal CAWOOD b. 20 Sep 1917.
iii. John McKenzie CAWOOD b. 17 Jun 1940.
iv. David McKenzie CAWOOD b. 11 Apr 1944. 102. Isabella CAWOOD b. 9 Oct 1869, m. Horace Mortimer MORGAN, b. 29 Jul 1868, d. 1943. Isabella died 1931.
i. Allen MORGAN b. 31 Jul 1894.
ii. Muriel Joyce MORGAN b. 27 Oct 1897.
iii. Cawood MORGAN b. 25 Jul 1899.
iv. Hubert MORGAN b. 10 Dec 1904. 103. George King CAWOOD b. 7 Feb 1872, m. Anna Maria TRUTER, b. 8 Apr 1888, d. 27 Oct 1939. George died 11 Jan 1954.
i. John Backhouse CAWOOD b. 25 Mar 1918.
ii. Loveday Mary CAWOOD b. 8 Mar 1920. 104. Joseph May CAWOOD m. Hilton T WEBSTER. Joseph died 1958.
iv. Charles WEBSTER m. Myrtle HOLMES. 105. Henry Herbert CAWOOD b. 25 Feb 1879, Alice, Cape, m. Elizabeth Enid ROUX, b. 3 Jan 1886, d. 10 Sep 1967. Henry died 23 Aug 1945, Alice, Cape. i. Loveday CAWOOD m. Reuben PAPPE. ii. Glen Roux CAWOOD b. c1911, d. 20 May 1918.
iii. Henry Herbert CAWOOD b. 18 Jan 1926. 106. John Edward Nelson CAWOOD b. Oct 1884, m. (1) Violet TAYLOR, d. 1919, m. (2) Girlie MAIN. i. ----- CAWOOD d. Post Retief. ii. David CAWOOD m. ----- STEYN. iii. Roy CAWOOD m. Joy -----. 107. Oswald CAWOOD b. 17 Jan 1865, m. 1903, Jean HOCKLEY, b. 1875, d. 1971. Oswald died 1931.
i. Allen Richard Hockley CAWOOD b. 1907.
ii. Mark Hockley CAWOOD b. 1909.
iii. Peter CAWOOD b. 1922. 108. Edward James Schreiner ("Baasie") CAWOOD b. 24 Mar 1882, m. Cecilia MARTIN. Edward died 1960.
ii. Barbara Ann CAWOOD m. (1) divorced 1974, Anton Rex SUDANO, m. (2) Peter -----. 109. John Richard ("Goschen") CAWOOD b. 5 Apr 1883, m. Elizabeth Mary ("Mollie") ANDREWS, b. 1886, Beaufort West, d. 1973, Canada, buried: Saanich Churchyard, near Victoria, Canada. John died 1938.
i. Richard Clinton CAWOOD b. 1921. 110. Sarah Millicent CAWOOD b. 1873, m. Robert Thomas DAVIE. Sarah died 1943.
i. Robert Thomas Methuen DAVIE. 111. Richard CAWOOD b. 25 Jan 1877, m. Eleanor Jones. i. Leslie CAWOOD d. 1958, Kimberley. 112. Barrett Nelson CAWOOD b. 19 Apr 1879, m. Daisy Winifred SNELL, d. 1958. Barrett died 1959.
iii. Edward Kestle CAWOOD b. 5 Sep 1914. 113. Ernest CAWOOD m. Agnes Beatrice GILCHRIST, d. 1971. Ernest died 1940.
i. Eileen CAWOOD m. ----- ANDERSON. 114. Ernest Richard William GIDDY b. 11 May 1866, Colesberg, Cape, bap. 27 Jul 1866, Colesberg, Cape, occupation Magistrate and Civil Commissioner, m. 21 Mar 1894, Hester DE WET b. c1870, d. 1956, Prince Alfred Road, buried: Anglican Church Cemetery. Ernes died 7 Dec 1917, Jersey, Channel Islands, buried: Jersey, Channel Islands. i. Eric Cawood Gwyddian GIDDYb. 14 Apr 1895.
ii. Iris Gwyddyn GIDDY b. 1898.
iii. Ernest GIDDY b. 1903, Cradock, Cape, d. 1915, Jersey, Channel Islands. 115. Mary Kate GIDDY b. 24 Feb 1868, Colesberg, Cape, bap. 29 Mar 1868, Colesberg, Cape, m. 10 Sep 1885, Alfred IRELAND, b.3 Sep 1859, Brechin, Scotland, occupation Medical Practitioner, d. 23 Jun 1923, Cradock, Cape. Mary died 8 Aug 1913, Cradock, Cape. i. Mary IRELAND b. 22 Jan 1887, Cradock, Cape, d. 26 Jan 1888, Cradock, Cape. ii. Margaret ("Maggie") IRELAND b. 30 Mar 1888, Cradock, Cape, m. 31 Dec 1927, George Douglas WATSON, b. c1885. Margaret died Johannesburg, Transvaal. iii. Alfred James ("Sonny") IRELAND b. 5 Jul 1889.
iv. David Manzie IRELAND b. 26 Mar 1891, Cradock, Cape, occupation Veterinary Surgeon, d. 21 Oct 1921, Pietermaritzburg, Natal. v. Dorothy Kate IRELAND b. 28 Dec 1895.
vi. Beryl IRELAND b. 24 Jan 1898.
vii. Donald Young IRELAND b. 21 Aug 1899, Cradock, Cape, d. 21 Oct 1900, Cradock, Cape. viii. Kenneth Forbes IRELAND b. 20 Oct 1901.
ix. Ronald Alexander IRELAND b. 17 Apr 1904.
x. ----- IRELAND b. Feb 1907, Cradock, Cape, d. Feb 1907. 116. Lionel Hilton CAWOOD b. 15 Jan 1878, m. in Rusape, Rhodesia, Anna Cornelia -----. Lionel died 15 Jul 1920, Montezuma Mine, Makoni, Rhodesia. i. Lionel Johannes CAWOOD b. 1 Mar 1917.
ii. Ann Anna CAWOOD b. 17 Apr 1918.
iii. Violet Daphne Anna Cornelia CAWOOD b. 21 Oct 1919. 117. David Henry CAWOOD b. c1892, Irene, South Africa, m. (1) Charlotte Rhodesia ("Rhoda") HULLEY, b. 1896, (daughter of Richard Anthony HULLEY and Elizabeth Charlotte WEBSTER) d. Feb 1924, Umtali, m. (2) Hester Maria STANDER, d. c1957, Chipinga. David died c1960, Rusape, Rhodesia. i. James Henry CAWOOD b. 4 May 1916.
iii. Evelyn CAWOOD m. Mike BARNARD. iv. Cecil John Rhodes CAWOOD b. Jan 1924, Umtali, d. 28 Jul 1946, Pretoria. 118. Sarah Henrietta Florence NORVAL b. 31 Jan 1875, South Africa, m. 14 Feb 1898, in Kimberley, Francis Alexander NORVALL, b. 1 May 1854, Rochester, Kent, (son of William Alexander NORVALL and Lesserina Helen WALKINSHAW) d. Feb 1947, Bulawayo. Sarah died 22 Aug 1943, Bulawayo, buried: Bulawayo. i. Frank Allister NORVALL b. 21 Dec 1898, d. 16 Jan 1988, Bulawayo. ii. Isabel Florence NORVALL b. 11 Sep 1900, Kimberley, m. 18 May 1921, in Grahamstown (St Patrick's Church), Murrell Harding BARLOW, b. 22 Nov 1883, London, (son of Wilfred Elwin BARLOW and Alice Mary MURRELL) d. 6 Jul 1962, Rondebosch, buried: Rondebosch, Cape. Isabel died 11 Jun 1977, near Bulawayo. iii. Doris NORVALL b. c1902, d. in infancy. iv. Kenneth NORVALL b. 4 Jan 1904, Kroonstadt, d. 16 Oct 1966, Bulawayo. v. Henry NORVALL b. c1904, d. in infancy. 119. Mary Hilarie Daisy NORVAL b. 1876, m. 1901, in Orange Free State, Francis Alwin ("Frank") WEAKLEY, b. 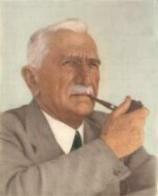 6 Sep 1876, Colesberg, (son of George Robert WEAKLEY and Mary TUCKER) d. 26 Sep 1948, Elandsfontein, Germiston. Mary died 26 Sep 1948.
ii. Connie WEAKLEY buried: Old Cemetery, Colesberg. v. Francis Alwin WEAKLEY b. 16 Nov 1915.
vi. Katie Hilarie Daisy WEAKLEY. 120. John Ernest NORVAL m. (1) Unknown, d. 1913, m. (2) Helene -----. iv. Cawood NORVAL b. 1907.
v. Norman NORVAL b. 1912. 121. Maude NORVAL b. c1880, m. c1906, William Ronald GALBRAITH, b. c1875. Maude died c1945, Livingstone, Northern Rhodesia. i. Joseph ("Joe") GALBRAITH b. c1919, d. 1944.
ii. Kathleen GALBRAITH b. c1922. iii. Marguerite GALBRAITH b. c1924. 122. Emily Marguerite ("Markie") NORVAL b. 1883, m. Duncan Clifford NORVAL, son of James NORVAL and Susan Helen ALEXANDER. 123. Edward Biddulph CAWOOD m. 15 May 1918, Winifred Mary FEATHERSTONE, (daughter of John Henry FEATHERSTONE and Amelia ("Amy") CAWOOD). i. Edward ("Sonny") CAWOOD b. 21 Feb 1919.
iii. John Henry Featherstone ("Temba") CAWOOD b. 5 Dec 1923. 124. Claude Cecil CAWOOD b. 25 Jul 1893, m. 26 Apr 1922, in Knott Memorial Church, Klipfontein, Gertrude Elizabeth KNOTT, b. 26 Sep 1897, Alice, Cape Province, d. 8 Apr 1983. Claude died 16 Dec 1968.
i. Henry Knott CAWOOD b. 6 Nov 1923.
ii. George Knott CAWOOD b. 9 Nov 1925.
iii. Samuel Knott CAWOOD b. 7 Jan 1928.
iv. June Knott CAWOOD b. 15 Jun 1929, L'Orange Farm, Louis Trichardt, d. 16 Jul 1929.
v. Benjamin Knott CAWOOD b. 22 Aug 1930.
vi. Dorothy Knott CAWOOD b. 17 Apr 1938. 125. Madge BAGNALL b. c1885, South Africa, d. after 1953, Johannesburg, m. (1) c1910, ----- TAYLOR, m. (2) c1915, in Johannesburg, Eric Francis Kidger TUCKER, b. c1885, South Africa, d. after 1953, Johannesburg. Madge died before 1971, South Africa. 126. Alfred Leo WHITFIELD b. 1860, m. c1900, Amy CAWOOD, b. 19 Aug 1868, (daughter of Thomas CAWOOD and Frances RICHARDS) d. 5 Apr 1946. Alfred died 1901.
i. Wilfred Charles WHITFIELD b. 1893, d. 1893.
ii. Ivah Lillian WHITFIELD b. 1894.
iii. Ellen Frances WHITFIELD b. 1896, d. 1898.
iv. Cecil Alfred WHITFIELD b. 20 Mar 1898.
v. Lionel Redvers WHITFIELD b. 1900. 127. George Edwin CLAYTON b. 27 Aug 1864, m. Benetta Theodora PURDON, b. 1871, d. 16 Jul 1966, buried: Cuylerville Cemetery. George died 8 Sep 1933, buried: Cuylerville Cemetery. i. Atherstone CLAYTON b. 24 Dec 1892.
ii. Gordon CLAYTON b. 29 Sep 1893.
iii. Harvey CLAYTON b. 1895? iv. Maurice CLAYTON b. 1897.
v. Jessie Audrey CLAYTON b. 30 Oct 1899.
vi. Grace Doreen CLAYTON b. 6 Apr. viii. Stanley CLAYTON b. Feb 1902.
ix. Norman CLAYTON b. 1905, d. 6 Mar 1907, buried: Cuylerville Cemetery. x. Joy Rita CLAYTON b. 14 Jun 1908.
xi. Edwin CLAYTON b. 19 Jun 1912. 128. Edith Jane CLAYTON b. 1866, m. William Hardin FLETCHER, b. 1854, d. 1946. Edith died 1940.
i. Edith Clayton FLETCHER b. 1886, d. 1889.
ii. Arthur Stanley FLETCHER b. 1889.
iii. Harry Havelock FLETCHER b. 1891, d. 1945.
iv. Amy Clarice FLETCHER b. 1893.
v. Olga Eileen FLETCHER b. 1896, d. 1996.
vi. George Gradin FLETCHER b. 1898, m. Grace MARSHALL, d. 1986. George died 1970. 129. Winifred Emily CLAYTON m. Richard KYTE. 130. Elizabeth Ellen CLAYTON b. 1869, Cape, m. George Robert FLETCHER, b. 1860, d. 6 Dec 1932, buried: Cuylerville Cemetery. Elizabeth died 2 Jul 1952, buried: Cuylerville Cemetery. i. Horace Clayton FLETCHER b. 17 Sep 1891, d. 26 Oct 1962, buried: Cuylerville Cemetery. ii. Iva Clayton FLETCHER d. 16 May 1976, buried: Cuylerville Cemetery. iii. Connie FLETCHER d. 9 Feb 1980, buried: Cuylerville Cemetery. iv. Ethel FLETCHER m. Cecil WRIGHT. vi. Jean FLETCHER m. Eric FITZHENRY. vii. Doris Clayton FLETCHER b. 1903, d. 16 Jun 1904, buried: Cuylerville Cemetery. 131. Ada Maria CLAYTON m. divorced 1935, John Samuel CAWOOD, b. 8 Jan 1878, (son of Thomas CAWOOD and Frances RICHARDS) d. 17 Dec 1955. Ada died 1935.
ii. Rita CAWOOD m. George McDONALD. 132. Clifford John CLAYTON b. 10 Jun 1875, m. Florence Weymouth POULTON, b. 14 Jan 1879, d. 15 Mar 1964, buried: Cuylerville Cemetery. i. Arthur Ross CLAYTON b. 20 Mar 1903.
iii. Kathleen Mary CLAYTON b. 31 May 1906.
iv. George Clifford CLAYTON b. 2 Jul 1908.
v. Basil Percy CLAYTON b. 30 Jul 1910.
vi. Claude Dennis CLAYTON b. 30 Oct 1912.
vii. Allen Lewis CLAYTON b. 7 Jul 1914. 133. Ivy Marrinda Cawood GLASS b. 9 Jun 1872, Grahamstown, m. 25 Aug 1903, in St Saviour's Church, East London, Gustave Louis WONDER, b. 1861, Canada, (son of William WONDER and Alma PLATT), d. 2 Jul 1931, Melbourne, Australia, buried: 4 Jul 1931, Melbourne General Cemetery, Fawkner (Methodist). Ivy died 3 Apr 1929, Fitzroy, Melbourne, Australia, buried: 4 Apr 1929, Melbourne General Cemetery. i. William Louis WONDER b. 15 Aug 1912. 134. Lilian Maud Cawood GLASS b. 23 Jul 1874, m. George Valentine EAST, d. 25 Oct 1923. Lilian died 18 Oct 1945. 135. William Louis Cawood GLASS b. 8 Jul 1876, m. (1) Amy Molteno WILKINSON, d. 2 May 1917, m. (2) Edith PAINE, d. 1935, m. (3) Edith BRADFORD, d. 1975. William died 6 Nov 1963.
i. Doreen Wilkinson GLASS b. 25 Nov 1909.
iii. Alayne Anne GLASS b. 17 Sep 1933. 136. Ruby Ann Cawood GLASS b. 12 Jul 1879, Bathurst, Albany District, m. (1) in East London, Phillip Seymour DE JEAN, occupation Commercial Traveller, m. (2) Peter OLIVER, d. Dec 1902. Ruby died 4 Sep 1928, 46 St Marks Road, East London. i. Dudley Seymour DE JEAN b. 1907.
ii. Estelle Ruby DE JEAN b. 1907.
iii. Arthur Trevor DE JEAN b. 1910, m. Debbie -----. Arthur died 1974.
iv. Dorothy Ethel DE JEAN b. 1914, m. Tom BOOTHROYD. 137. Irene Rose Cawood GLASS b. 27 Aug 1884, m. Harold JACOBS, d. 1940. Irene died 6 Mar 1967, South Africa. i. Harry Vaughan JACOBS . 138. Mary Ellen CAWOOD b. 10 Oct 1859, Middelburg, m. 28 May 1878, in Hopetown, Edward George Curlewis TUCKER, b. c1855. i. Hetty TUCKER m. Samuel REYNOLDS. iv. Gertrude TUCKER m. William MATTHEWS. vii. Edith TUCKER m. Charles ("Charlie") GRANDIN. 139. Johanna Elizabeth CAWOOD b. 4 Aug 1859, m. William GEYER. i. Elizabeth GEYER m. C CALAGAN. ii. Martha GEYER m. J STRYDOM. 140. Edward William CAWOOD b. 4 Nov 1861, bap. 15 Dec 1861, Middelburg, m. Eliza Jessie YOUNG. ii. Elizabeth CAWOOD m. William MARTIN. vi. Mary Eliza CAWOOD b. 14 Jan 1901, m. Archibald MacIvor ("Archie") SHAW, b. 1890. 141. Herbert CAWOOD b. 29 Dec 1867, bap. 20 Apr. 1870, Hopetown, m. Magdalena DU PREEZ. Herbert died 8 Nov 1933.
iii. Martha CAWOOD m. Cornelis BOTHA. v. Stephen CAWOOD m. ----- LEACH. 142. Frank CAWOOD b. 22 Feb 1870, bap. 20 Apr 1870, Hopetown, m. 1890 or 1891, Ann Barnes DU PREEZ, b. 1 Oct 1874, Sondays River, (daughter of Francis Albert DU PREEZ and Susanna Elizabeth VAN LELYVELD) d. 19 Mar 1963, Kimberley. Frank died 10 Apr 1931, Kimberley. i. Ralph Cawood CAWOOD b. 7 Jun 1893.
ii. Elizabeth Susanna CAWOOD b. 26 Oct 1895.
iii. Francis Albert CAWOOD b. 8 May 1899.
iv. Joshua Barnes CAWOOD b. 4 Aug 1901, d. 28 Dec 1901, Farm Dikbosch, buried: Kimberley. v. Frank Walter CAWOOD b. 6 Jun 1905.
vi. Harriet Martha CAWOOD b. 14 Oct 1907, Kimberley, m. 7 Dec 1951, in Kimberley, Petrus Murray SUTHERLAND, d. 10 Mar 1958, Kimberley. This file is continued in The Cawood File (Part VI). Click on the appropriate link in the panel on the right.